Here at Pairfum London we are regularly asked the question “What are Sulphates” and “Why are they bad”? To answer this question, sulphate ion is a polyatomic anion. What, you may ask, is a “Polyatomic Anion”? Well, … anions are atoms or radicals (which are groups of atoms) that have gained electrons, and since they now have more electrons than protons, anions have a negative charge. So glad we were able to have cleared all of this up for you !! The next question is, how and why are they used? Sulphates are used in the production of shampoos, toothpaste, cleansing products, body wash, facial cleansers. The reason they are included in these products is to enable two or more immiscible liquids (liquids that don’t mix – think Oil & Water) to turn into an emulsion. 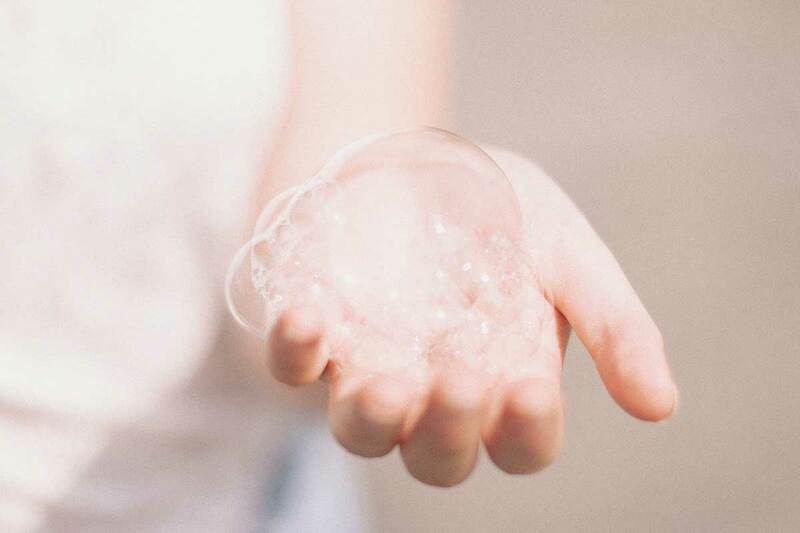 This is the reason why shampoos or face & body washes that contain sulphates produce a lather (a mass of small bubbles) that gives us the impression of having squeaky clean hands, face, hair and teeth, in a ‘Nut Shell’, they are cleansing agents. They are derived from sulphur which does occur naturally. However, the sulphates used in most cases are derivatives of the petroleum industry or come from sodium lauryl sulfate which comes primarily from coconut oil. Hundreds of sulphates are produced using these sources, but the ones you will see most often are ‘sodium laureth’ and ‘sodium lauryl’. Sulphates or Sulfates have in recent years received a lot of attention, as people have been voicing their concerns over the use of sulphates in products. These chemicals have been linked to cancer though nothing has been proven yet. Sulphates are also known to dry out your hair and have been widely accused of causing irritation and acerbating eczema. With these issues currently still under review and with health conscious consumers taking the attitude that it is better to be ‘Safe than Sorry’, some brands are now offering sulphate-free products. This is why you will see packaging and products stating SLS, SLES and ALS Free. It means, that they do not contain the lather-inducing detergents known as sodium laureth sulphate, sodium lauryl sulphate and ammonium lauryl sulphate. SLSs are considered to be a ‘low hazard’ according to the EWG (Environmental Working Group), but they have been linked to skin irritation, organ toxicity and environmental damage of specific ecosystems. However, sulfates are considered to be safe in small quantities of concentrations below 1% by the FDA and American College of Toxicology. Higher concentrations of SLSs intended for discontinuous usage, were found to pose no significant health risk to humans. However, in higher concentrations sulfates did cause cellular damage. With prolonged exposure or at concentrations of 15% or higher harmful effects were recorded in laboratory tests on rats which included skin irritation, depression and laboured breathing. NO mineral oils and none of the following petroleum derived ingredients: petrolatum, petroleum jelly, petroleum distillates, etc. NO propylene glycol, IPA, etc. from petroleum. Naturally derived alcohols are fine. So when you next purchase a ‘Natural and or Organic Sulphate Free’ product that does not lather as you think it should, the question you should ask yourself is ‘Not’ why it does not lather-up. Instead, the question you should maybe be asking yourself is why the other products do lather? For a more enjoyable bathtime, we recommend products without SLS, SLES or ALS. You can find Pairfum’s Organic Bathing, Shower and Hand Wash products here.